Google has moved to clarify its position on Android incompatibility, after it was claimed that the mobile giant 'strong-armed' Acer out of launching a device with the Ayliun OS. Google has released a statement saying non-compatible versions of Android weaken the ecosystem and says Open Handset Alliance members had agreed not to do so. The company says: "Compatibility is at the heart of the Android ecosystem and ensures a consistent experience for developers, manufacturers and consumers. 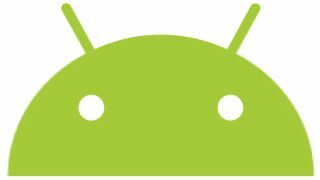 "Non-compatible versions of Android, like Aliyun, weaken the ecosystem. All members of the Open Handset Alliance have committed to building one Android platform and to not ship non-compatible Android devices. This does not however, keep OHA members from participating in competing ecosystems." Alibaba has responded to Google's statement, saying: "Aliyun OS is not part of the Android ecosystem so of course Aliyun OS is not and does not have to be compatible with Android. It is ironic that a company that talks freely about openness is espousing a closed ecosystem." Alibaba claims that Aliyun is 'different' to Android, but Google staunchly believes that it derives from its open-source mobile software. This will, of course, renew the debate on just how open-source Android really is. It seems fair that Google would do its utmost to protect against Android fragmentation, but that, of course, seems to go against the whole nature of open-source.